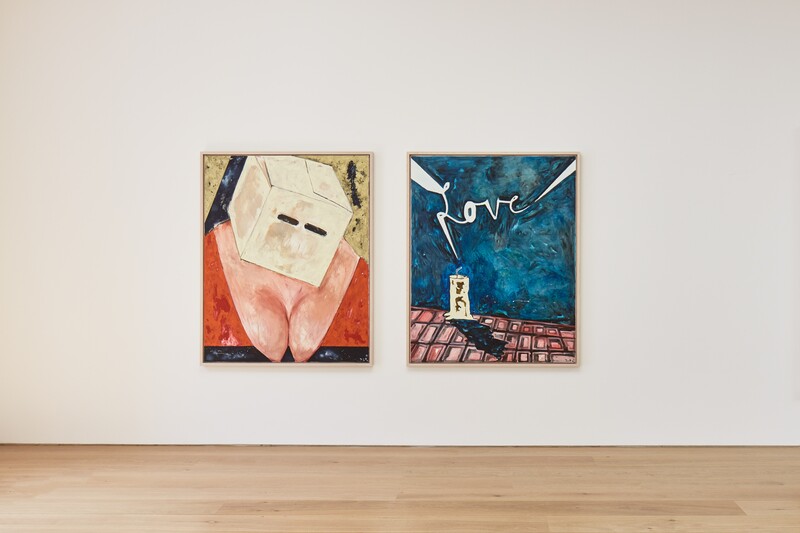 Leading German artist Werner Büttner is the subject of a new exhibition at Marlborough London, running across the entire two floors of the gallery. Plenty of Room for all Sorts of Happiness encompasses new works made by Büttner over the last two years, together with a selection of paintings from the 1980s - when he first came to worldwide attention as part of a new generation of German artists. Imbued with a dark humour, Büttner’s work has for nearly four decades pursued one essential underlying theme: the pursuit of lucidity as a tool for survival in a sordid world. 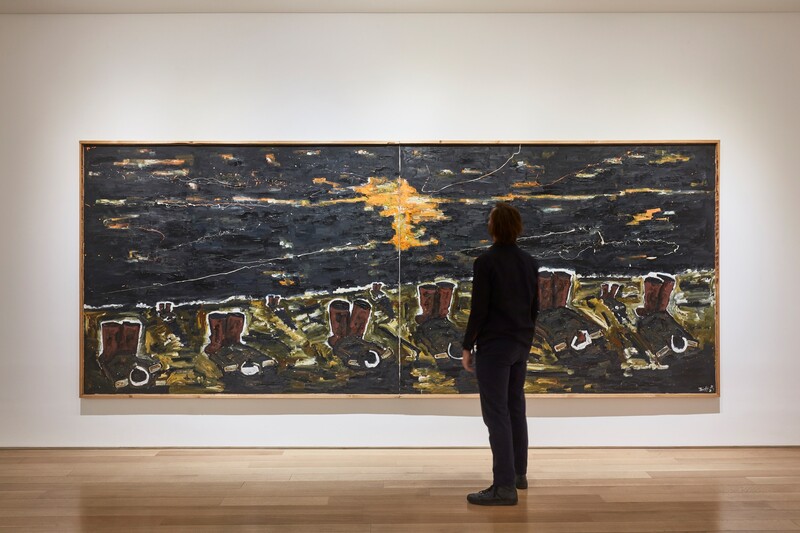 See below for a glimpse into the exhibition – which runs until 23 June 2018. Werner Büttner, Viel Raum für allerlei Glück [Plenty of Room for All Sorts of Happiness] (2017). Oil on Canvas, 240 × 190 cm. 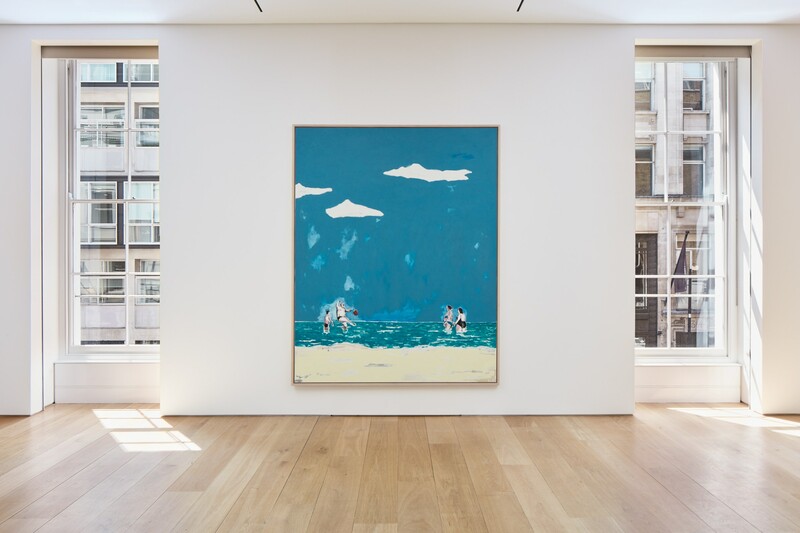 Installation View, Plenty of Room for all Sorts of Happiness, Werner Büttner at Marlborough Fine Art, London, 25 May – 23 June 2018, courtesy Marlborough Fine Art.